Eight station Multi Gym - Multi gym Station in India. We are manufacturing in different range of 8 station Multi Gym Deluxe Model in India 100mm x 50 mm with different weight stations like Bench Press , Arm curl , Rowing Pulley , Peck Deck. 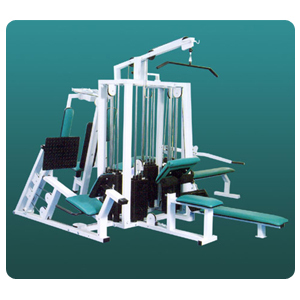 we export Eight Station Multi gym Deluxe Model in heavy material component with standard quality with warranty.